UPDATE: Have an early June race planned ? Are you planning on racing in our Spring Sprint Triathlon on June 10, or Oliver Sprint / Standard on June 2nd, Oliver Half or Victoria 70.3 June 3rd, well we can help get you ready for race day. Starting with the Thursday March 1st KTC swim, we will be starting structured swim workouts ,Tuesday and Thursday mornings 6am - 7am Canada Games Pool deep end, designed specifically for these events. We will have 2 seperate lanes, 1 for sprint / olympic distance swimmers and 1 for 1/2 ironman ( 70.3 ) distance swim training. Only requirement to join up is you need to be a 2018 KTC member. Remember once registered as a member, there is no need to pay pool drop in or membership fees to swim. We have that covered for you. Just meet us on deck at 6am and lets get swimming. ​Swimming for all levels. A coach will be on deck with a workout and will provide tips and feedback throughout the session. Current registered KTC members are eligible for a 10% discount. 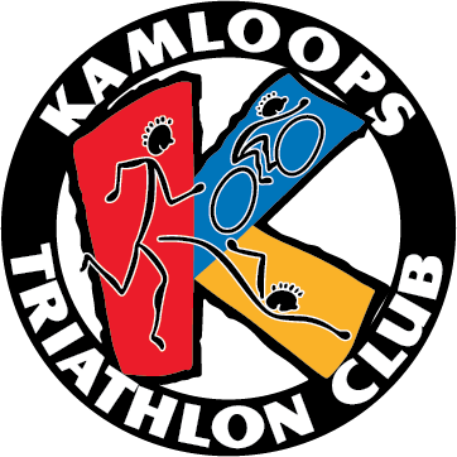 Contact the Kamloops Classic Swim Club for details and pricing. Must be 19 years of age to swim with the Masters. Workouts to help you develop your stroke and workout in a non-competitive atmosphere. Click here for more information. Swim lessons and triathlon clinics for all levels of swimmers. Open water clinics and triathlon specific swim clinics are offered. KTC members receive a 10% discount off all swim programs. ( contact KTC how to receive discount ) Click here for more information on swim programs. Open water swims at Paul Lake occur every Tuesday evening and Saturday morning starting in May and swimming until September. Swimmers meet just east of the Husky on the corner of Highway 5 and Paul Lake Road. When the water gets too warm, we will move the swims to Lac Le Jeune. Make sure to join us for the Sip n' Dip to kick off the season! The Tsunami Swim Club offers athletes the opportunity to get some swimming in at Brock Pool throughout the summer months. A coach will be on deck to answer any questions and will have a workout ready. Contact the Tsunami Swim Club for more details. Ask about their special offer to KTC members. Brock Pool is open to the public in the mornings if you're wanting to swim outdoors. For more information check out the Brock Pool schedule. Don't forget to bring your own workout!